Three in four Brits fear their current lifestyle and unhealthy habits will lead them to an early grave, according to a new study. A shocking new report has found that almost nine in ten Brits admit to having habits and addictions which they feel powerless to break. And the findings show an overwhelming 85 per cent have a genuine fear that their current lifestyle will make them ill, while three quarters believe the way they currently live will lead them to die too early. 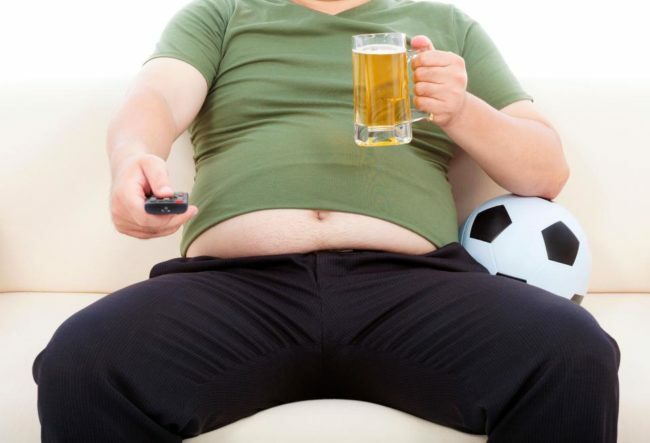 According to the survey, three quarters of the nation have attempted to improve their lifestyles by cutting down on drinking, eating more healthily and exercising more, only to slip back into unhealthy habits again. 26 per cent say the stresses and strains of modern life are the main barrier they face when it comes to living a healthy lifestyle, leading to habits and addictions such as overeating and binge drinking. And the same number blamed depression for their unhealthy and inactive lifestyles. Daniel Sobhani, CEO of Freeletics, which commissioned the study as part its Dare to be Free campaign, said: “It’s extremely worrying that the majority of the nation are not living the healthiest lives they could be. With our new campaign, we aim to encourage the public to free themselves from exercise excuses and dare to better their lifestyle. The research also looked at the weakest excuses that people give for not exercising, with bad weather (18 per cent), wanting to catch a TV show (12 per cent), and not wanting to get too sweaty (7 per cent) featuring on the list.